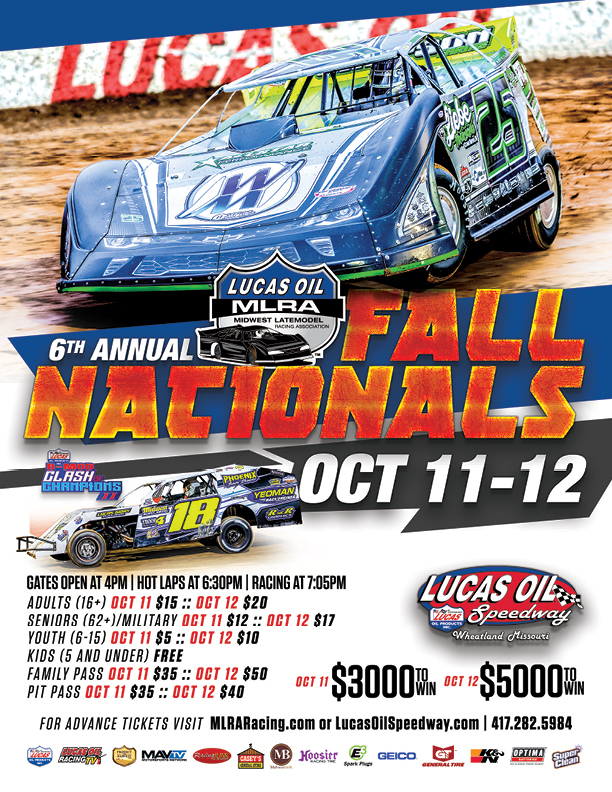 The Lucas Oil MLRA along with the Comp Cams Super Dirt Series Presented by Lucas OIl brings the best regional dirt late model drivers to the "Diamond of Dirt Tracks" for a battle royal of late model dirt racing. The Lucas Oil MLRA/CCSDS will be running a 50 Lap $5,000 to win main event. The Ozark Golf Cars USRA B-Mods will also be in action for the Clash of Champions runnng qualifying features and a 30 Lap $3,000 to win main event.